Many conferences are organised and held throughout a given year. These can range from small-scale local business leaders’ events, large-scale industry-specific exhibitions to global conferences that witnesses a gathering of a large number of delegates from many parts of the world. The Australian Communications and Media Authority (ACMA) recently concluded a global conference. Held in Perth, Australia it was a large scale global event that registered attendees from numerous parts of the world. We at Elegant Media had the privilege to take part in this event as the app developer for the official Conference Mobile App. In most events or conferences, one of the significant barriers organisers face is communicating changes, special events and times to its participants as they happen. Especially if there are changes to any plans or venues after-hours, it’s really difficult to get the message across to the participants before the next day. But imagine if you could notify all the attendees and the participants through the use of a single button by sending a push notification. This can be achieved by having a simple Mobile App developed for your event. You can also give role-based access to the organisers of the event, and let them manage and schedule notifications to various segments of participants through an app. When was the last time you asked someone for directions to a venue? These days it’s very rare for the mobile generation to ask a person for directions. Everyone has a Mapping app on their phone and you just have to give the address to the user. Also, we now see technologies that allow people to navigate through indoors using their mobile apps. In many conferences, there are last-minute change to events, rooms and speaker schedules. By using dynamic timetables within an app, you can immediately get the updated information to your attendees. Want to know if your audience understands the speakers, or if the food choices were good for lunch? With an app, you can poll the audience and get immediate feedback. This will help you to make quick changes and ensure your attendees are happy with the small details. Almost everyone who attends a conference will carry a smart-phone with them. If you have an ongoing event that recurs at a given schedule, you can save printing costs by assigning a portion of the same budget towards building an App. Unlike printed material that needs to be printed for every event, an app can be updated to suit your event and can be used to keep in touch with regular attendees. If you want to distribute sensitive data, such as temporary login details or Wifi passwords for the next day, with a mobile app, you can encrypt and distribute that data regularly. You can even use the technologies available with some smartphones such as fingerprint IDs to further protect sensitive data distribution. As long as the users have given consent, you can use indoor tracking technologies such as iBeacons to track where users are physically going. This can give valuable statistics and trends for the event organisers. For example, if you have an exhibition floor with a large floor area, you can use iBeacons to track which areas or stalls are getting the most visitors during various times of the day as well as the days of the week. 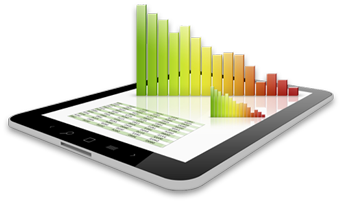 This data can later be used to improve the stall pricing strategy for the next event. to develop a Mobile App for your next big conference or event. At Elegant Media, aside from the ACMA app for the Australian Federal Government, we have completed a range of mobile apps for events, businesses and entrepreneurs. As an ISO certified, Australian based company, we guarantee optimum results for each of our projects with a highly professional and a personalised service. Next PostNext GDPR Australia – How Does GDPR Affect Australian Apps, Software and Services?